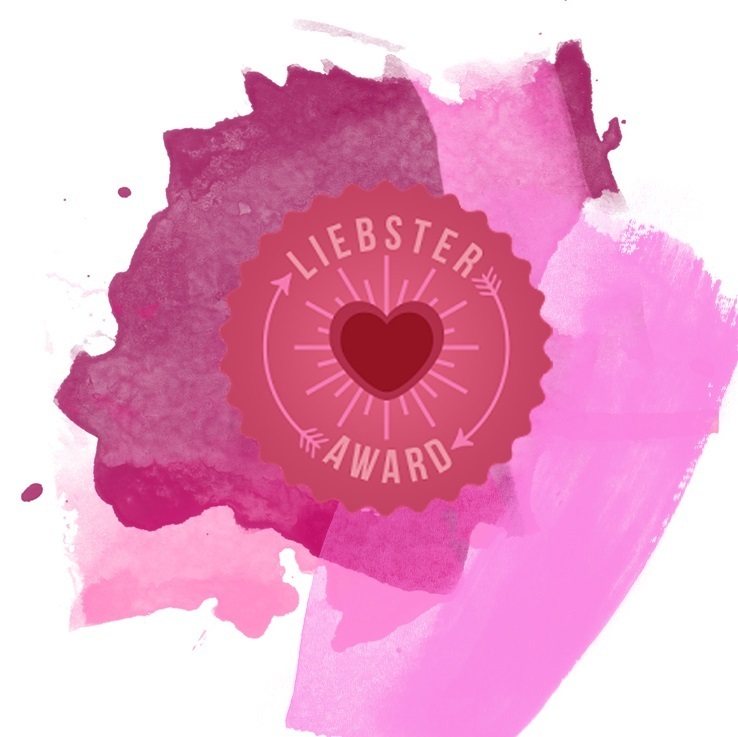 The lovely blogger, Emma from Fashion Craze, nominated me for the Liebster Award! It is an incredibly sweet honor to get the chance to let you all know a bit more about me on a personal level. Of course, this is also a great chance for me to nominate some of my favorite bloggers, that totally deserves this award. The Liebster Award is an award that is given by bloggers to other bloggers. This award is an online award that gives recognition to new bloggers. This award is great for blogs that are newer. It gives these newer blogs a chance to be recognized. Being recognized for this award, and being noticed for the quality, design, and content is an excellent way for bloggers in the industry to support and recognize one another. I apologize I have not been that active lately, blogging-wise. If you follow me on Instagram and SnapchatAdd me @ JULIANA.CHOW to follow me around, you may know that I have been to London for a university interview, and with that I have had to prepare portfolios and everything that comes with it. Without going into too many details, I will just point out that applying to universities is easier said than done. It is a lifetime decision after all, and that is tough. With that being said, I am happy to be back and writing for you all again. To start things off here is a quick Liebster Award Q&A for you to get to know me better, and to check out these awesome blogs I will totally recommend for you to go check out. I have been blogging on and off throughout all my teen years. I started in January 2011, which is over 5 years ago. Crazy, right? Though it was not until 8 months ago, in August 2015, that I decided to focus full-time on my blog to see where it could take me. I was born and raised in Copenhagen, Denmark though I often get asked about my original ethnicity. To answer that I am partly Chinese, Italian, Danish, Polish and Norwegian. So, in 5 years I will be 25 years old, and I hope to see myself traveling, living life and be happy and healthy with whatever I will be doing at that time. I blog to inspire people to live a healthy and exciting lifestyle, stay confident and experiment with their fashion style. At the same time, blogging is a fantastic way to get my thoughts and ideas out into the world, and connect with like-minded people. 5. What is your favorite type of ice-cream? Green tea, banana or mango sorbet. Don’t make me decide between them! 6. If you could change one thing about your life what would you change? Even though I have attended an international school, I still wish I had grown up in an English-speaking country, so I would get my accent on point. At this moment, my accent is all mixed up and influenced from my trips to Ireland, England, and most recently, the US. I get inspired by being around people with passion, talent and who put their soul into what they are doing. I love seeing and meeting people who are raw and do not hide their personality or passions in any way. Lastly, my surroundings inspire me endlessly, which is the number one reason why I love traveling. 8. What is something you can’t live without? The flexibility to travel, positive people around me, and internet connection. I have many favorite blogs that I love reading! At the moment, my favorite blogger is Kristina Bazan, because her Instagram is fabulous. When I am not writing, traveling or shooting for the blog, I like reading, practicing yoga, creative writing, graphic design and playing the piano. I also love spending time on Soundcloud to find cool deep house remixes. You can follow me on Soundcloud here. 11. Do you want to make a full-time job out of blogging? Yes, most definitely! I cannot be more thankful of the possibilities that blogging has given me so far, and I will, without doubt, continue on for as long as possible. I am turning 20 this year on July 10th. My Zodiac sign is the Cancer, which means I am loyal, loveable, spontaneous and creative. I have a brother, who is 11 years older than me and teaches ballroom dancing. Since I grew up with a big brother, I naturally came to love 90’s video games and sci-fi movies – and by that, I promise you – you will not be able to beat me at Mario Kart, Need for Speed, nor 007 Golden Eye on Nintendo 64. I have two cute Bichon Frises – Lucas and Lulu – who just turned 10 and 1 year old. If you are dining out with me, you will most likely end up at either an Italian or Asian restaurant. I grew up with Italian and Asian food, so both are very nostalgic to me. I eat fairly healthy and I am not picky when it comes to food. Though I do not eat red meat, because of health reasons, so I usually stick to fish, chicken or vegetarian options. I will choose chocolate over any kind of candy, any time of the day. I may sound as an introvert when I say I love reading, writing and playing the piano, but I promise you, I love socializing with other people equally. I have a commitment issue when it comes to settling in the same city for a longer period of time. Life is too short, you know? My favorite class in school was Marketing, and to this day, I still know all the analytical marketing models inside out. 2. What have been some of the coolest things you have accomplished so far with your blog? 4. If you had no access to technology for an entire day, how would you spend it? 5. What are some of the most important lessons you have learned so far in life? 6. If you could marry any celebrity, who would it be and why? 7. What gets you more excited than anything in the world? 10. If blogging did not exist, what do you think you would be doing instead? 11. Dead or alive, who would you invite for a dinner party and why? I hope you enjoyed getting to know me a bit better. I truly recommend that you go check out the wonderful bloggers I nominated for this award. Lastly, for all my nominees – I look forward to reading your reply to this post!